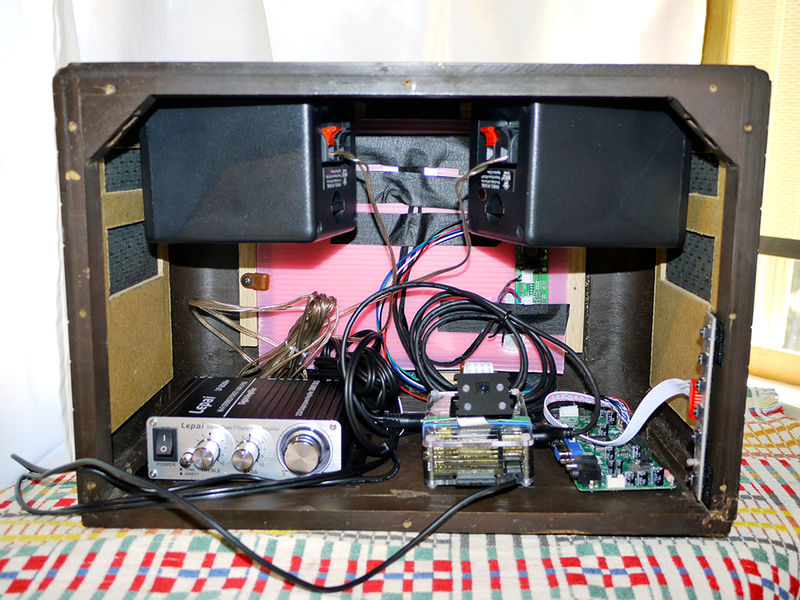 I ordered an iPad screen and display board from China, cleaned up the radio case, grabbed a lepai amplifier and speakers from amazon, added one Raspberry Pi and created my Radio-Pi. I currently use it for playing movies and music but may make it a bedroom device for monitoring weather, time with alarm, webcams, etc. I plan to put up more of a how-to with lots of pictures. Let me know if you’re interested in the comments. Power cord mess – needs work! Mounting an LCD screen and driver board is a challenge. How did you accomplish this? 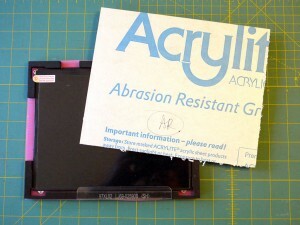 Is there a clear protective cover over the LCD? Will try to add more picts ASAP. 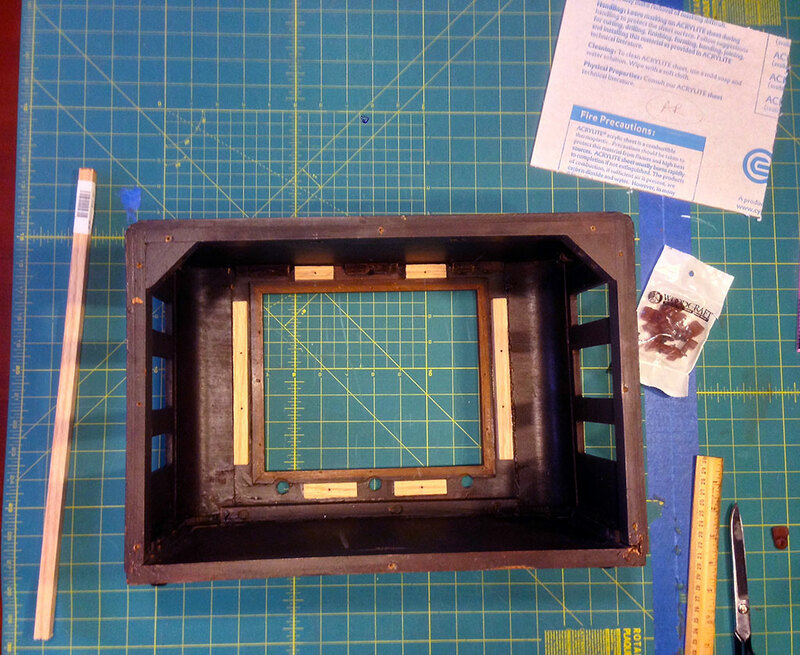 I made a sandwich of: a sheet of scratch-resistant acrylic (from Tap Plastics), the LCD board and the plastic shipping “container box/board” (has custom cut-out for the screen). 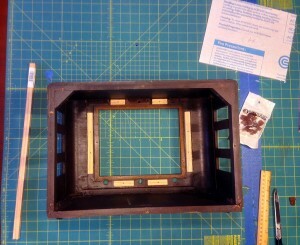 I attached to the radio’s front frame (from the inside) using mirror/glass plastic holders with screws. The driver board and video controls are mounted to the cabinet using velcro. You can see that in the back picture, above. I am curious as too how all of the components are wired for power. Are the Pi, amp,and LCD pulling from the same source? Andy, I feel your pain. Twice I’ve connected a 5v amplifier to the 5v GPIO pin, and the result has a lot of crackle and interference. 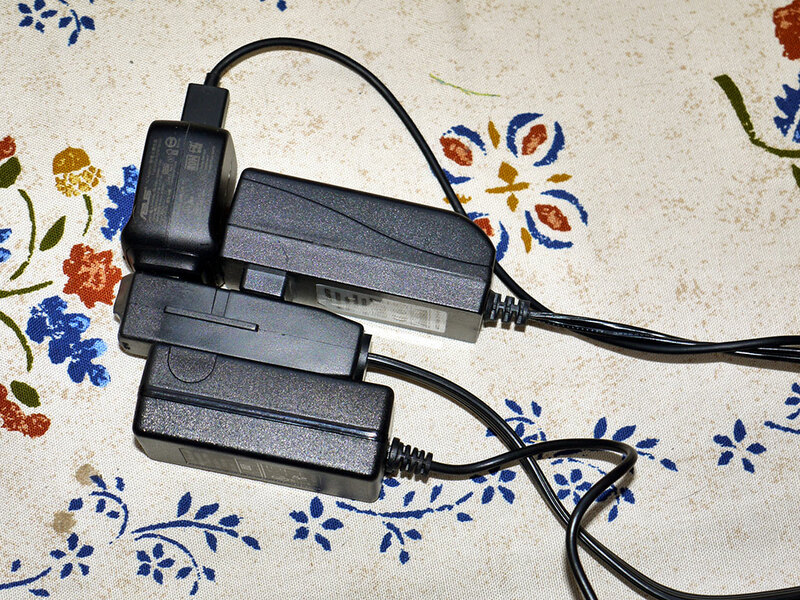 The elusive ‘single power cord’ hack is out there somewhere. I would love a very detailed how-to on this. 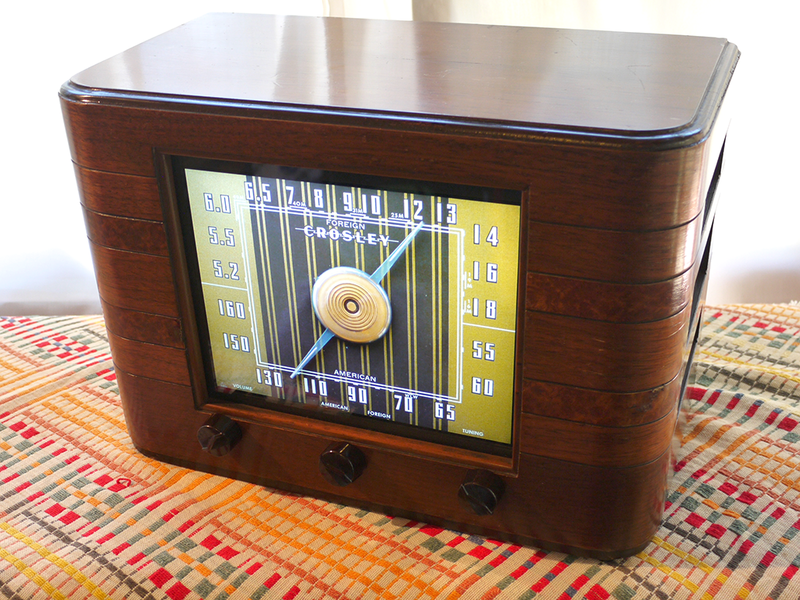 I’m wanting to convert an old radio for my in-laws for listening to npr and such for them. What you have come up with would be perfect. The more detailed, the better. I can adapt as needed with the parts I can find. I am also very interested especially in using the front screen to display images and I assume change as you switch channels? What software did you use to achieve this? What’s the driver board between pi (hdmi) and iPad screen please? Very nice, have wanted to do something similar but using a SDR dongle, alas Pi isn’t quite strong enough to do it all, but can act as a superb client for a machine running the server. 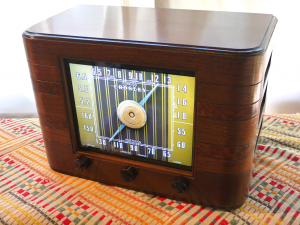 Does your stream radio from internet? What software did you use ? Awesome job. Can’t wait for your how-to. this looks great. I would also be very interested in a more detailed how-to. how do you control it? with an app or the buttons on the bottom? or is it actually a touch screen?